When Google+ first arrived on the scene, many people were excited to see a social media offering from the search giants and rumours flew around that they would soon overtake Facebook. This hasn’t transpired (as yet) but that’s not to say that G+ isn’t worth making the effort for, it’s quickly become a vital part of a business’ social media marketing strategy. Bearing this in mind, how should your campaign differ on this particular network than Twitter, Facebook, LinkedIn and Pinterest? Well Google is really pushing its social network now and it’s thought that G+ will continue to grow at a rapid rate. This is partly because a G+ account is now mandatory for all Gmail users, encouraging more and more people to join. G+ is also becoming more important to SEO, making it easier for marketers who know what they’re doing to show up in search results. 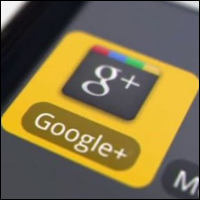 So what can you do to ensure that your business is gaining the most from G+? We’ve put together a few tips to help you along the way. – Link to contact pages and specific pages – you can experiment with this over time to see what results you’re getting and change accordingly. The Events feature can be used to send out customised invitations to anyone you have an email address for, regardless of whether they use G+ or not. Events synchronise well with Google Calendar and shows up automatically when an invitee confirms attendance. This function allows you to separate followers into groups so that you can effectively target the right content to the right people. This allows you to really personalise your message so that you’re entering into a useful dialogue with potential customers, helping you to make more sales. In addition to the steps outlined above, Google Hangouts is ideal for video conferencing and collaboration. Not only is it fully integrated with other Google apps, it’s a simple way to connect with others in your organisation to share information quickly and easily. Google Authorship is a relatively new feature which allows you to really take control and showcase your content. Not only does it help you to show up in search results, Authorship protects your content and keeps it higher in the rankings than anybody else’s post that has curated your content for their own site. It’s thought that Google Authorship also increases click-through rates and raises the profile of your G+ account, as well as your company website. The point of Authorship for Google is to encourage marketers to connect with G+ and take advantage of the SEO benefits of Google itself. Not only is it simple to set up (just identify yourself through your G+ profile and link to content), but it increasingly “trusts” your content as quality the more you use it. Authorship allows your picture to show up in search, alongside the content snippet, which causes higher click through rates and therefore, higher rankings. All you have to do is ensure that your name is the same in G+, make a short and snappy by-line and provide an email address that is the same domain as your content. This has become one of the most popular aspects of G+ so ensure that your content includes images. This can be done as part of your blog post, which can be linked to the image in order to share with the rest of your G+ network. G+ is woefully underused by businesses, many of which have an account they rarely use, even if they have noted the success of other social media channels. However, it’s a powerful tool and in a hugely competitive online marketplace, marketers ignore it at their risk. Get social! Hire My Social Agency for social media marketing. Get in touch today to learn more.